Find hotel near Adria International Racew ..
Adria International Raceway is a motorsport race track near Adria in the Veneto region of Northern Italy. Pay a visit and try yourself in the driver's seat. They offer you a go-to practice or go-karting. It is a permanent road course and is 2.702 kilometers in length. The venue has hosted the FIA GT Championship, Italian Formula Three, Deutsche Tourenwagen Masters, and the Formula Three Euro series. If not feeling to take the wheel, sit in the stands and watch others enjoying the place. 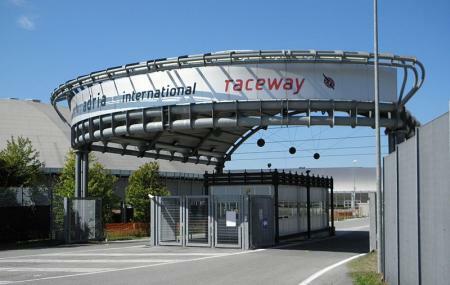 Use Adria trip planner to visit Adria International Raceway (smergoncino) and many others to your visit. Book perfect hotels in Adria like Albergo Ristorante Cavalli, Hotel Gran Delta and Hotel Formula. Explore the best Adria vacation packages that will take to you important landmarks of the city! For getting in, check out how to reach Adria. Love this? Explore the entire list of places to visit in Adria before you plan your trip. Fancy a good night's sleep after a tiring day? Check out where to stay in Adria and book an accommodation of your choice. Go Kart is the best. We like indoor parking for the main Track. Kart track is very good with Modern facility.